PROARC - MWBC Minority Woman Business of the Year! 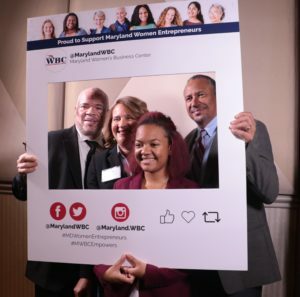 October 17, 2018 - PROARC was honored to receive the Maryland Women's Business Center (MWBC) Minority Woman Business Owner of the Year Award, presented by Emmes, at the 2018 MWBC Annual Award Luncheon. PROARC has benefitted from MWBC business counseling received over the past four years. 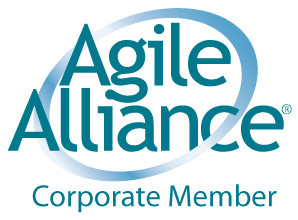 We first contacted Bowie MWBC, when we were considering our Maryland MBE/DBE certification. Our advisor met with us and helped ensure that we were prepared for discussions with MDOT. This helped in our success in becoming certified. We also came to the Bowie MBWC when we were working on our 8(a) application submittal. We obtained our certification at the end of 2016. This enabled PROARC to participate in 7(j) training and completed a seven-month SBA Emerging Leaders course. 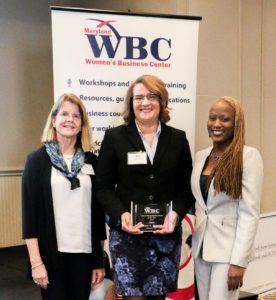 PROARC President/CEO, Renee Watson, was a quest speaker for the MWBC “Understanding Your Market” event in August of 2017, we also participated in the more recent “Doing Business with Northrup Grumman” event, as well as attending the 2018 Women’s Business Day program in Annapolis, MD. Thank You Maryland Women's Business Centers! PROARC Team enjoys MWBC Annual Luncheon. October 9 & 10, 2018 – PROARC, INC. Senior Leadership Team participated in the 2018 Leadership Summit in New York, NY. During the two-Day Summit they heard motivational Year Up Senior Leadership and fellow stakeholders discuss advances towards closing the Opportunity Divide for this countries talented Opportunity Youth. Returning with new networks and inspiration to provide continued support of Baltimore Opportunity Youth as Year Up local board members. September 16, 2018 - The "Evening of Jazz" with Baltimore's Year Up provided fantastic views, music and fun for the PROARC Team! The annual event was held at the Baltimore Museum of Industry and featured musical Jazz artist Chelsey Green and the Green Project. PROARC sponsored a table in support of helping Year Up close the Opportunity Divide for talented Baltimore youth.